For more than half a century, Lynchburg Ready Mix followed the vision of its founder, J.C. McCarthy. His philosophy of “find a need and fill it” encouraged him to start his business in Lynchburg, Virginia, a growing community ready for a reliable concrete supplier. That same philosophy enabled Lynchburg Ready Mix to expand from one man with a vision and a few pieces of assorted equipment into today’s fleet of trucks and sophisticated batch plants ready to deliver ready-mix concrete anywhere in Central Virginia. And we’ve left our mark along the way, supplying custom-formulated concrete for monumental projects such as Centra’s Lynchburg General Hospital, Georgia-Pacific’s Naruna plant, GLTC’s Transfer Station and it’s Maintenance Facility as well as pouring millions of cubic yards of concrete since the beginning. 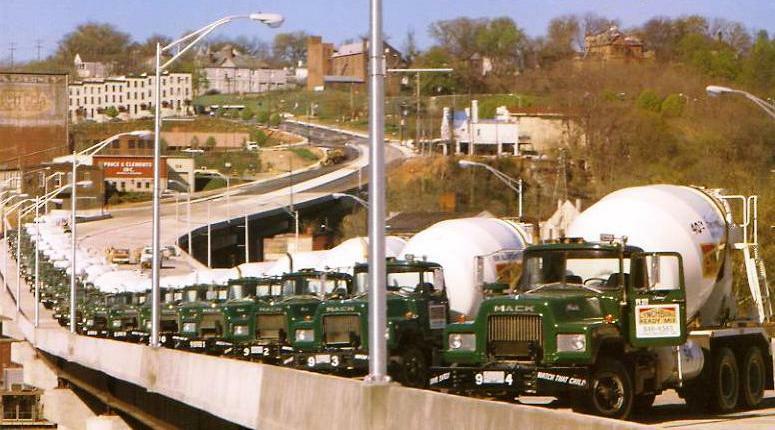 Since 1947, Lynchburg Ready Mix has worked hard to provide the highest level of concrete quality and customer service. We pride ourselves on going the extra mile when fulfilling your concrete needs and quickly fixing any problems that may arise along the way. Thank you for your business for the past 70 years; and thank you for the opportunity to serve you for years to come.